Even as dengue ravages Kerala, health experts are confused by the uncommon traits and complications that were recently observed in patients. The pattern of dengue deaths also indicates that mortality rate was high among patients who were repeatedly diagnosed with the disease. If a person gets dengue for the first time (type-I), proper rest and medication will help in combating fever and antibodies will be generated in the body that will give life-long immunity against the type-I variety. But, when the same person is exposed to mosquito bites and gets dengue (type-II or type-III), a new set of antibodies will be generated in the body. Antibodies generated in the primary infection and secondary infection react, resulting in grave complications that may even lead to the death of the patient. Through virus uptake and replication, type-I antibodies will intensify and complicate the typeII virus by a process called antibody dependent immune enhancement. “When a person is tested positive for dengue, prescribed antibiotics will only treat the symptoms of fever and not the virus.Like any other viral fever, dengue virus will subside and antibodies will be generated in a week. When a person is affected by dengue twice or thrice, the reaction of subsequent antibodies will lead to internal bleeding and cause dengue haemorrhagic fever or dengue shock syndrome that may lead to death,” said associate professor of community medicine at Thiruvananthapuram medical college Dr Althaf A. The scattered information and diagnoses are yet to be compiled and analysed by authorities. Sources in the health department said there was no proper database or research on such complexities. “When autopsy was conducted in a suspected case of dengue death in 2013, we found that the person was suffering from West Nile fever, a mosquito-borne disease. Similarly , all reported deaths might not be due to dengue. We are unable to contain deaths as scientific analysis and research are lacking,” said Dr Althaf. There are four different strains of dengue and for a person repeatedly afflicted with dengue, the risk factor goes up. “Severe internal bleeding or blood loss can occur due to the reaction of antibodies already present in hisher body . This is a matter we have to address through research,” said former state nodal officer (communicable diseases) Dr Amar Fettle. Genetic mutation in disease causing virus is also suspected to be one of the major reasons for the increase in fatalities, said experts. “The spontaneous changes in genetic coding of dengue causing virus can be one of the reasons for the complications.Similar to the mutation seen in H1N1 virus, dengue causing virus is suspected to have undergone genetic mutation. H1N1 virus was seen only in animals at first, it later it was transmitted to humans and by 2008, due to mutation, H1N1 virus was transmitted from one human to another,” said Dr Althaf. Doctors, who treat dengue, have also no ticed the change in symptoms. “Many patients who seek treatment for diarrhoea; throat pain and vomiting are later diagnosed with dengue. The symptoms were high fever, back and abdominal pain. It is not the same now,” said a doctor at the general hospital in the capital on condition of anonymity . 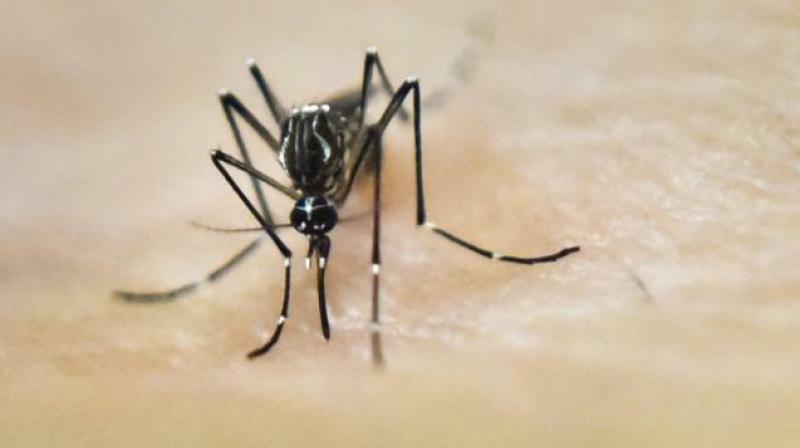 “The Aedes aegypti mosquitoes are responsible for the outbreak.These mosquitoes can cause chikungunya, yellow fever and Zika fever.Our environment is very receptive to these diseases and we are vulnerable,” he said. Dengue cases have risen in Thiruvananthapuram, Kollam, Alappuzha, Palakkad, Malappuram and Kozhikode this year and the disease has become round-the-year problem over the past three years.